The fire was reported around 9 a.m., according to a Litchfield Rescue official. 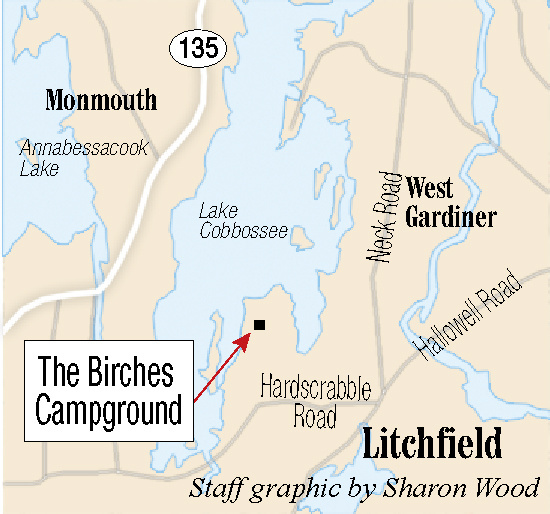 A fire broke out Thursday morning in one room of a structure at the Birches Campground in Litchfield, Litchfield Rescue Unit director Tina Gowell confirmed. Gowell said the 8-foot-by-12-foot laundry room was attached to a bathroom and a camper at the campground, located at 201 Norris Point Road in Litchfield. A dispatcher in Gardiner said Litchfield Rescue responded to assist someone who had suffered smoke inhalation, but the person was not taken to the hospital. Darryl Ellis, deputy chief of the Litchfield Fire Department, said the fire was caused by a clothes dryer malfunction and that no one was hurt. About 20 firefighters responded to the emergency from the Litchfield, West Gardiner and Monmouth fire departments. Firefighters were on the scene for about an hour. Ellis said he understood that the family campground was full in anticipation of the upcoming holiday and that no evacuation was needed since the fire was confined to the laundry room.